Numerous followers have different reasons to follow you, they can either have similar interest or a customer/ competitor/ professional or any body who relates to the industry in some way. The point is to recognise each one from their handle will be hared as the follower count grows. Maintaining separate lists of various categories such as customers, industry people, social media influencers and so on would be an effective method to keep in touch with. Also, while initiating an interaction it would be easier to involve them accordingly. Picture that represents your account is a bonus for you to relate your brand with the image. Size of the profile picture can a bit challenging to fit in the logo or a desired picture you want to put up. To make it look perfect, you can crop it according to the squad size of the image. It has to be clear, high in resolution and should not be compromised with quality. Mostly, people get attracted to the face instead of a logo. Upload a human face so that the target users connect to your brand. Giving textual information is not good enough, adding more colours or images would make it attention seeking. Giving additional information or any helpful tip can become a USP of your brand image. Plus, you can customise your Twitter background. You can sync the background colour with the profile picture and overall look of the profile. Twitter bio explains about the background of your business or personal details. It must sum up everything in the given text limit. It is an opportunity to tell people about your idea and message. With a touch of personality your pitch has to be convincing. It is recommended to update your bio after every 6 months as its considered to be stale after a period of time. To link your website with the Twitter profile, Landing page is used. Sometimes, 160 characters of bio are not sufficient, in that case Twitter landing page can be an effective addition to drive audience. It can be used as Twitter profile web address. Do not stuck to a specific plan or method to follow, rather keep a check on how it is working for you. You must know whom you are following and who are following you as many go the accounts are operated by bots and few of them can possibly be spammers. Do not follow anyone who doesn’t tweet or has an egg picture. Keep checking whether they are participative or not, their activities are worth-noticing or not. If not, then they are not worthy to follow. While reading so many tweets, make a point that you do not miss out any response to acknowledge like a retweet/ quote/ mention especially from a follower. Remain active on all fronts, respond to direct messages, replies or any other commentary received from the community. Find out who all are talking about your business, search and save the conversations or tweets. Anyone and everyone should be able to know about your twitter handle. Add it to all your business related spots such as : website, email signature, business cards, email newsletter, etc. 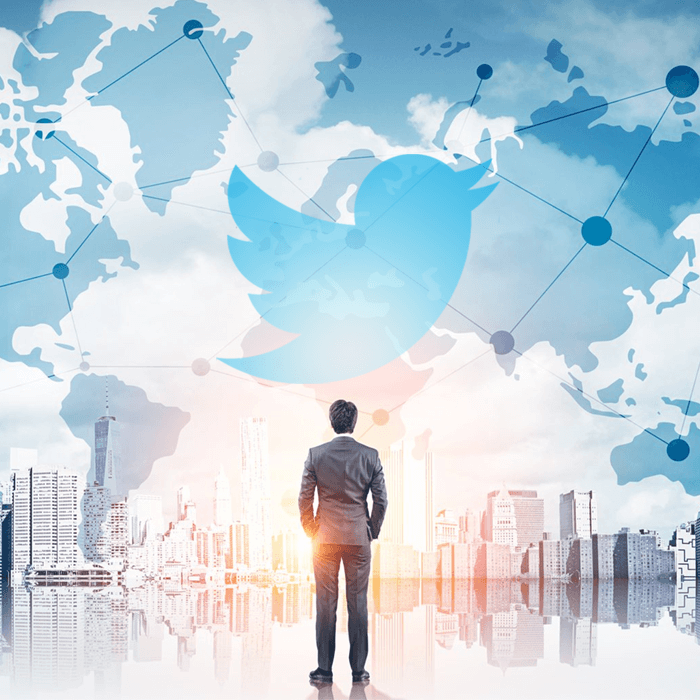 Twitter is the best way to connect and interact with your customers. Its a casual medium that helps you know the requirements of customers. Therefore, talk to them, try to gauge their interests, follow each of your customer. Find out their email address, if possible. Make sure to respond to all the mentions on your timeline. Its better to unfollow those who do not tweet at all or do not have a display picture. There are slight chances that they would have anything worth following as they are not serious about the account they have registered. Those who are upright and interested in the things your business is concerned about has to be followed regularly, rather try to involve them in conversation by tagging them or adding them in to a separate list. Initiate discussions o concerned topics and try to take input from every one or give it a shot at least. Some bonus points or rewards for retweeting or a special discount offer for those who respond to the question put up within 30 mins can grab attention of the followers, plus it pushes your message across the network. An additional tip for all marketers, its a useful technique to implement. Hence, incorporate this habit of using Twitter analytics for better understanding that can help you conduct your strategy in future.